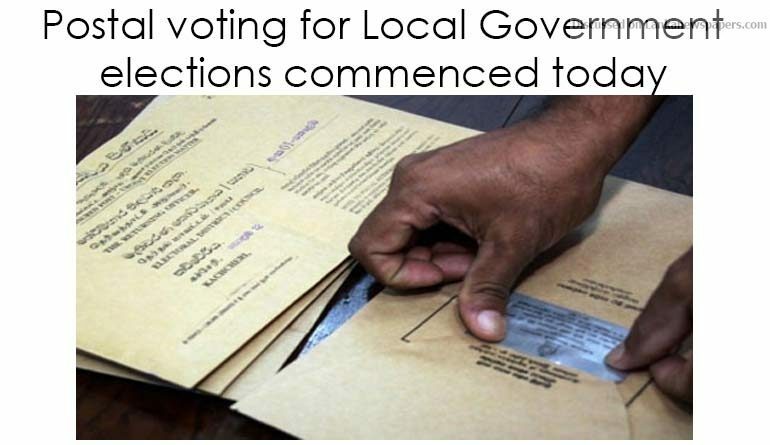 Postal voting for the upcoming Local Government elections commenced today(January 22) at 9 am in Election Offices, District Secretariats and Police stations. Public sector employees whose applications for postal voting have been accepted can cast their postal votes today from 9 am to 4 pm, according to the Election Commission. In addition, postal voting for employees at other government institutions including educational offices, Sri Lanka Transport Board (SLTB) Offices, and police and security forces personnel participating in election related duties will be held on the 25th and 26th of this month. Accordingly, employees in the public sector who will be on election duty will be provided with the opportunity to exercise their franchise through postal voting. There are 1.3 million people working in government and semi-government institutions in the country. The Election Commission says it has accepted around 560,000 applications for postal voting at the local government polls. The acceptance of applications for postal votes for the Local Government election concluded on December 22 midnight.